Milk and cream cleansers are a gentle approach to cleansing that can do your skin a world of good, especially if your oil cleansers or foaming cleansers aren’t working out for you. They’re ideal for those with sensitivity, irritation, or severely dry skin. Unlike other facial cleansers, which can be harsh and drying, milk and cream cleansers have gained immense popularity around the world for cleansing your skin without stripping it of natural oils for a balanced, hydrated complexion. Made from a natural emulsion of fats and water, milk cleansers are incredible for getting rid of dirt, grime, makeup and unwanted oils and toning your skin to give it that silky soft finish. Many of them, such as Philosophy’s Purity Made Simple 3-in-1 Cleanser or Dr. Hauschka’s Soothing Cleansing Milk are also enriched with natural oils, vitamins and antioxidants to help beautifully condition skin and soothe sensitivities. Other milk and cream cleansers, like Medik8’s Cream Cleanse, don’t even require water. Just apply then wipe away with a clean tissue! Nourishing and non-greasy, our range of milk and cream cleansers are excellent for sensitive or dry skin. 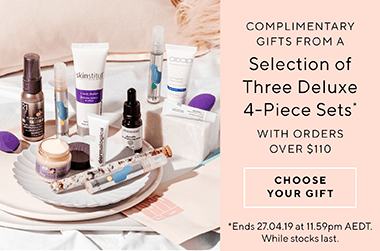 Choose from a wide range of cleansers from brands like Alpha-H, Skinstitut, Dermalogica and Avene at Adore Beauty, Australia’s longest-running online beauty store. Shop now and get FREE express post on all orders over $50 and the ability to pay later with Afterpay. Leaves your face feeling smooth and tight. 100% recommend this to anyone with any type of skin, so gentle and smells amazing, After trying this i will never use anything else. It last for so long so very good value for money. I hesitantly purchased this cream cleanser in hopes that it would soothe my relatively dry skin. I was pleasantly surprised that it not only cleansed my skin, but also added back some hydration. I purchased this product again, and although I am in the pursuit of amping up my skin care regimen, I will certainly be repurchasing this item.